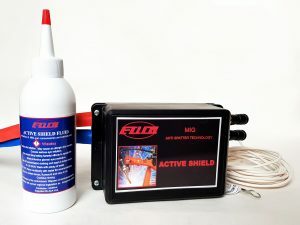 Following months of research and development our latest technological breakthrough in the control of Mig Welding Spatter, Active Shield Technology is now being made available to the Market. 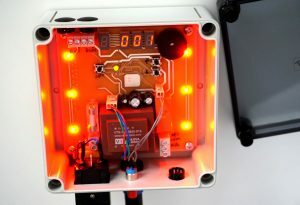 This electronic device was designed to record when a welding arc is in operation which can be pre-set to count down from 999 hours to zero hours, at which point an alarm signal is generated. 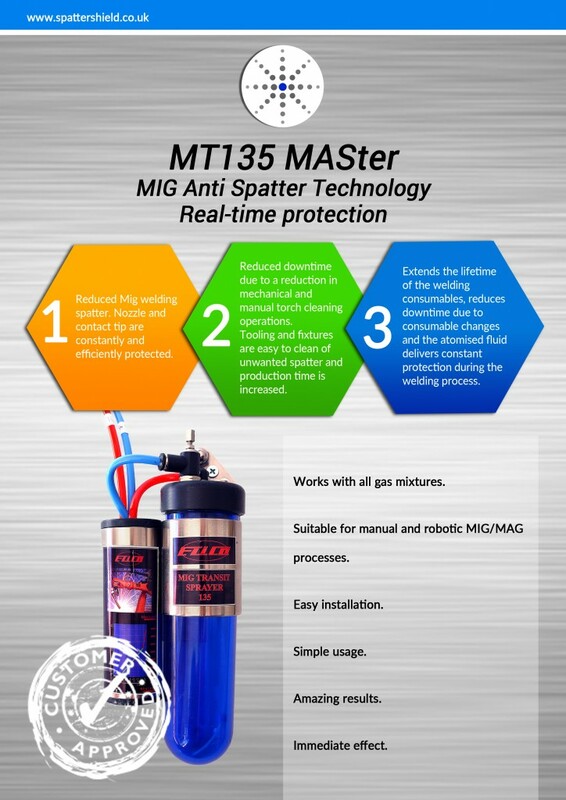 MT135 Master Spatter Shield - The better way of anti-spatter! The System may be tuned according to the various requirements of levels of diffusion hydrogen. 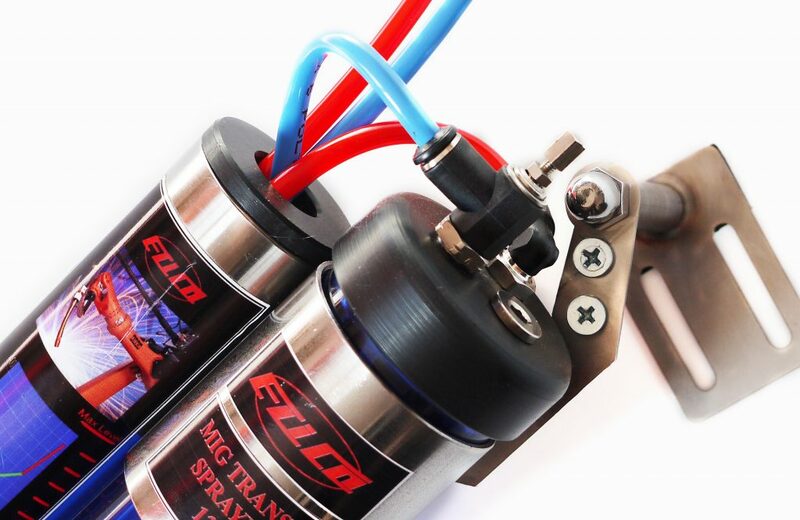 It is easily mounted on any existing manual, automatic or robotic MIG/MAG welding system. Our technologically advanced system differs from all others because it provides a more user friendly application, superior performance and real time protection. 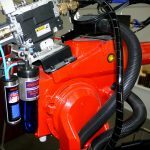 The system reduces the unwanted spatter on the welding consumables, work piece and any jigs or tooling that are used in the production process. 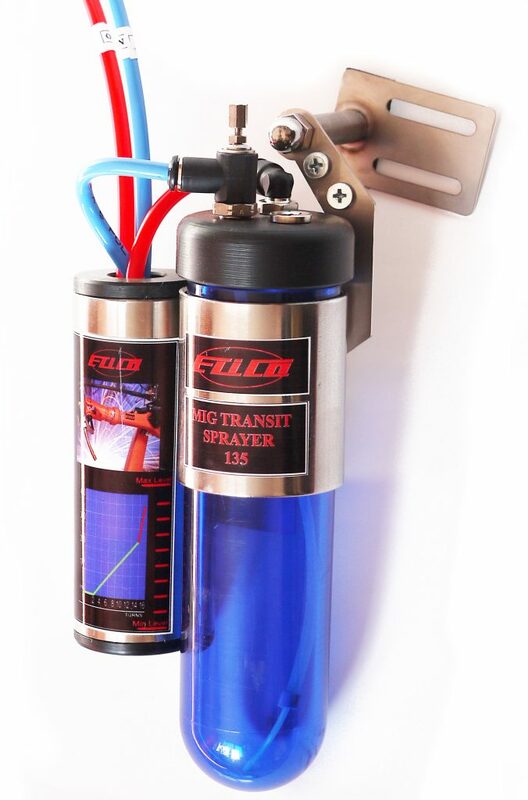 Accurate delivery system controlled by a combination of the shielding gas flow and the fluid regulator to ensure that the gas nozzle and contact tip are efficiently protected and the cleanliness of the welding cell is improved. Protecting the Shielding Nozzle is a technique that comes in all shapes and sizes from the various manufacturers. 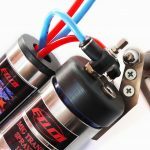 Spray on ceramic, ceramic nozzles, chrome coated nozzles, no touch reaming systems, magnetic spatter removal and of course the most common and popular method, anti spatter spray on the Torch Service Center. All these systems have there merits and of course preferred users. Simplistic systems are quite often overlooked or receive bad publicity because they do not appear complicated enough. 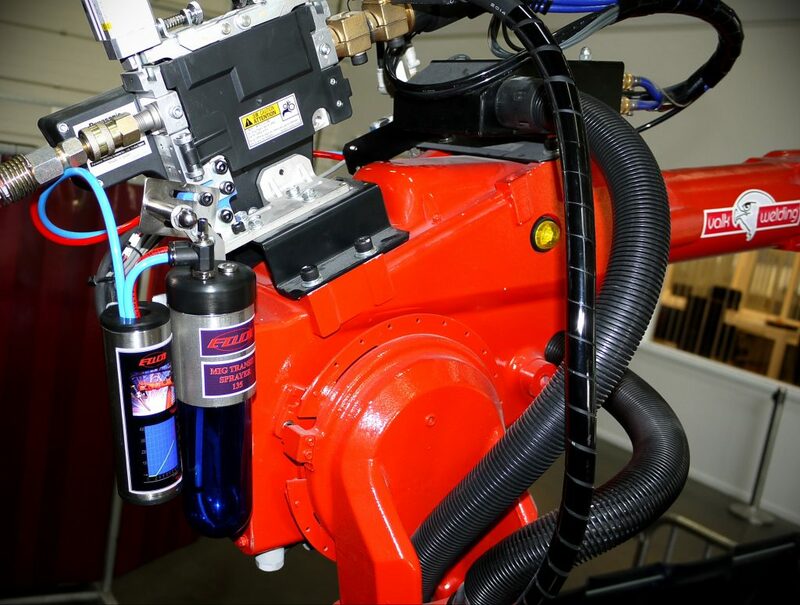 The MT135 MASter system is a simple system that can be applied to both manual and robotic mig welding applications. The operation is quite simple in that the co-developed anti spatter liquid is delivered in real time along with the shielding gas. The delivery method already exists therefore no additional power supply or monitoring is required. 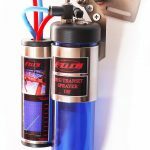 The anti spatter liquid is converted to a fine mist or fog caused by the pressure and agitation of the liquid as the shielding gas passes through the liquid and is drawn into the delivery pipes by the venturi system on the MASter unit. The shielding gas flow is split with a controlled volume passing through the liquid and the remaining passing through the venturi. The gas reunifies after the venturi with the liquid carried along as a mist to the delivery point exiting the torch through the diffuser and as a result the nozzle and the weld area receives protection in real time from the spatter that occurs during the welding process. 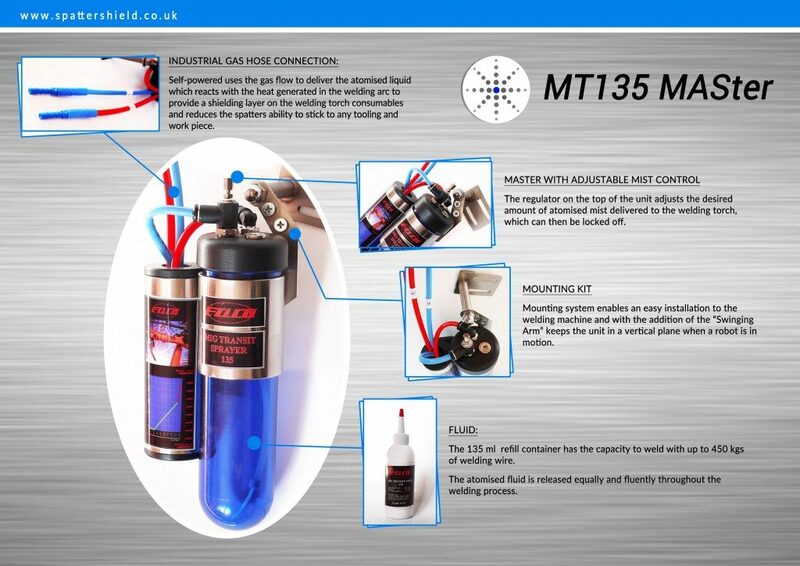 MT135 Master device is fed with a working fluid (MASter fluid). The fluid represents a mixture in specific limits of hydrocarbons /natural or petrol distillates/, mineral oils / natural or petrol distillates/ and corrosion inhibitors. 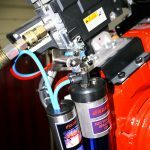 The working fluid in the device is dispersed in the welding gas in the form of a shielding anti-spatter mist, via the passing of the welding gas through it. 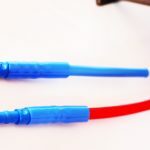 The Anti-Spatter liquid (fluid) is designed to be able to form a mist with the necessary shielding properties,which have to be transited from the welding gas to the outlet of the welding hand piece, in a stable condition. It is accepted that, during the welding process, the anti-spatter mist creates a slight condensation on all contacting surfaces in the arc burning area. This condensation is evaporated by the heat of the welding arc and by the impacts of hot welding spatters, but a new condensation is simultaneously formed from the constantly incoming shielding anti-spatter mist. It is considered that the above written, including the fact that the welding spatters contact with the shielding mist during their flight, does not allow them to stick to these surfaces. The process is continuously resumed. PLEASE CONTACT US FOR FULL VERSION OF SAFETY DATA SHEET! Hazard statement H315 Causes skin irritation. Precautionary statement P280 Wear protective gloves/ eye protection. P362 + P364 Take off contaminated clothing and wash it before reuse. P501 Dispose of contents/container in accordance with current regional legislation as dangerous waste. 4.1 Description of first aid measures Inhalation Move victim to fresh air. In case of difficulties after dust inhalation contact doctor. Eyes Wash eyes with plenty of water during at least 10 minutes. If irritation persists, contact doctor. Skin Remove contaminated clothing. Wash the skin with water. Ingestion Never induce vomiting. Contact doctor as soon as possible. 4.2 Most important symptoms and effects, both acute and delayed Causes skin irritation. May cause an allergic skin reaction. Causes serious eye irritation. Accidental ingestion may lead to penetration of particles into the lungs and cause serious health problems (pneumonia, pulmonary oedema). 4.3 Indication of any immediate medical attention and special treatment needed In case of accidental ingestion, in case of difficulties after contact with eyes and also in case of allergic skin reaction immediately contact doctor. 5.2 Special hazards arising from the substance or mixture Hazardous decomposition products may form (carbon oxides, nitrogen oxides, hydrocarbons, organic compounds) and thick black smoke. Vapours may form explosive mixture with air. containers rapidly out of reach of fire or cool with water fog. Do not breathe combustion gases. 6.1 Personal precautions, protective equipment and emergency procedures Avoid prolonged contact with skin and eyes. Wear suitable personal protection. Avoid access of not protected and not informed persons. 6.3 Environmental precautions Avoid release of product in to the waters, watercourses and water sources as well as to the sewerage. If it happens, contact responsible institutions. 6.4 Methods and material for containment and cleaning up Pick up with non combustible absorbent materials (sand, earth) and take for disposal in closed, labelled containers. 7.1 Precautions for safe handling Ensure ventilation of closed rooms. Avoid prolonged contact with skin and eyes. Wear suitable personal protection (eyes, skin). Keep safety and hygienic regulations for work with chemicals. Do not eat, drink or fume. Take off immediately all contaminated clothing. 7.2 Conditions for safe storage, including any incompatibilities Storage in original, tightly closed container in cool, dry, well ventilated room. Do not store with incompatible materials. 7.3 Specific end use(s) Product is used to protect MIG gun consumables and welded parts from welding spatters. 10.6 Hazardous decomposition products In case of fire: see section 5. Waste, contaminated absorbent material and contaminated packaging dispose in accordance with current regional legislation as dangerous waste (incineration plant). Contaminated packaging dispose as dangerous waste. UN number No dangerous good according to the transport regulations. 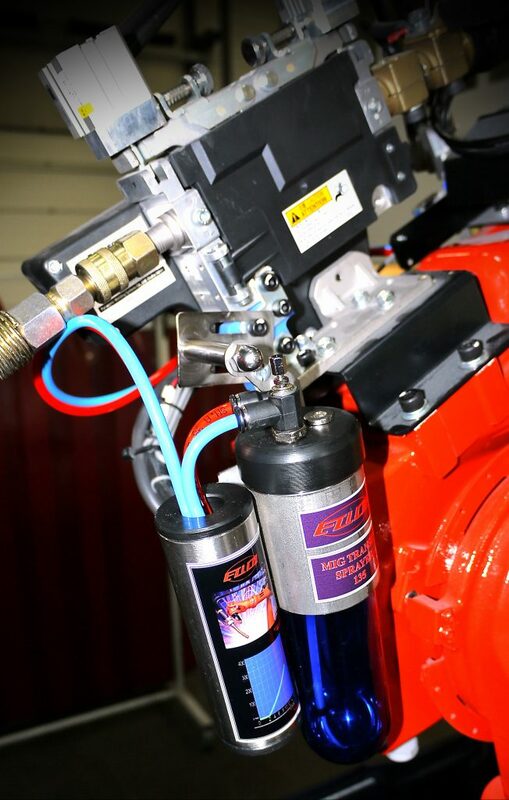 The 135ml refill container has the capacity to weld with up to 450kgs of welding wire. In case of using 15kgs spools of wire, average usage is 5ml of liquid per one spool of wire. 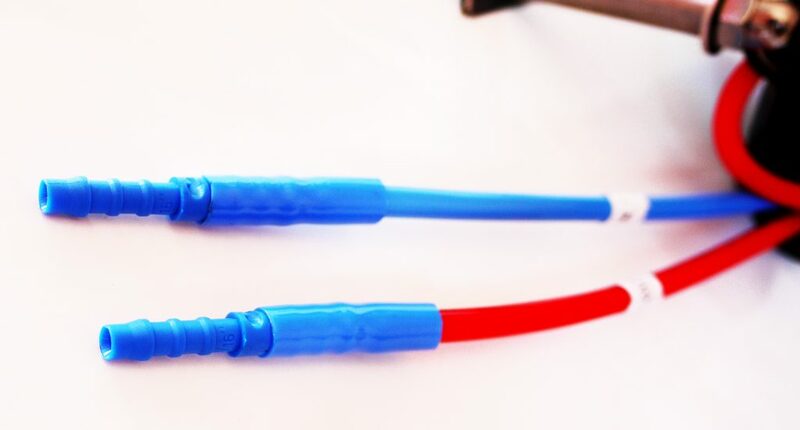 MT135 Master system doesn't have any effect on the surface finishing of the welded material.